Help us bath our giant Sulcata Tortoise Tilly! He loves to have warm water poured over his back and even a gentle scrub on his shell! 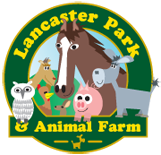 This activity takes place at 11:30am daily in the Petting Barn.